An angry man strides towards us, he’s wearing swimming trunks and a T-shirt, I’m unsure of his place in the hierarchy of the beach but he gives off an air of authority. He castigates us for depositing our belongings on some sunbeds which are already reserved for the whole season by somebody else. Do Italians really take this much time off work in the summer? 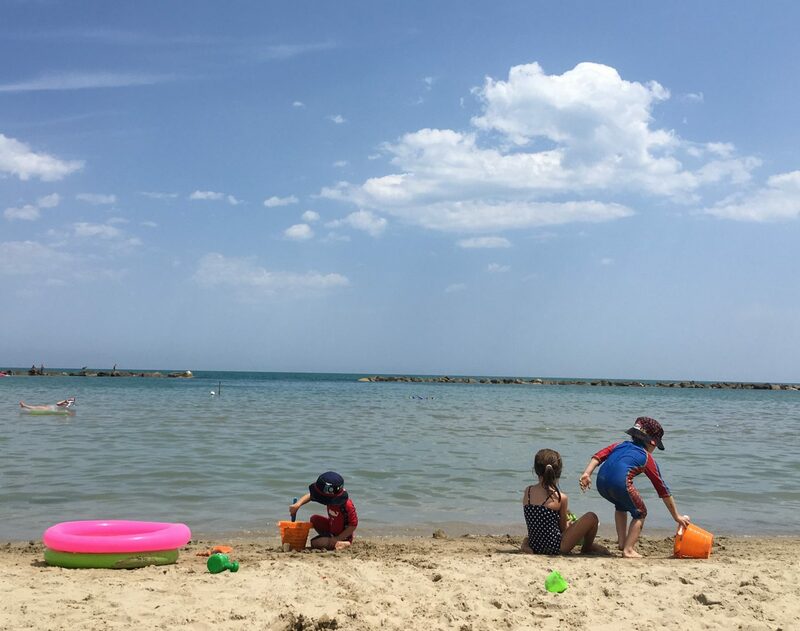 It is the end of July and my family and I are spending a week building sandcastles amid the regimented sun umbrellas of Grottammare, on Italy’s Adriatic coast. Like many Brits, I grew up on a diet of picturesque English and Welsh coastlines: quaint harbours, rocky coves and stretches of sand relatively untouched by human development. 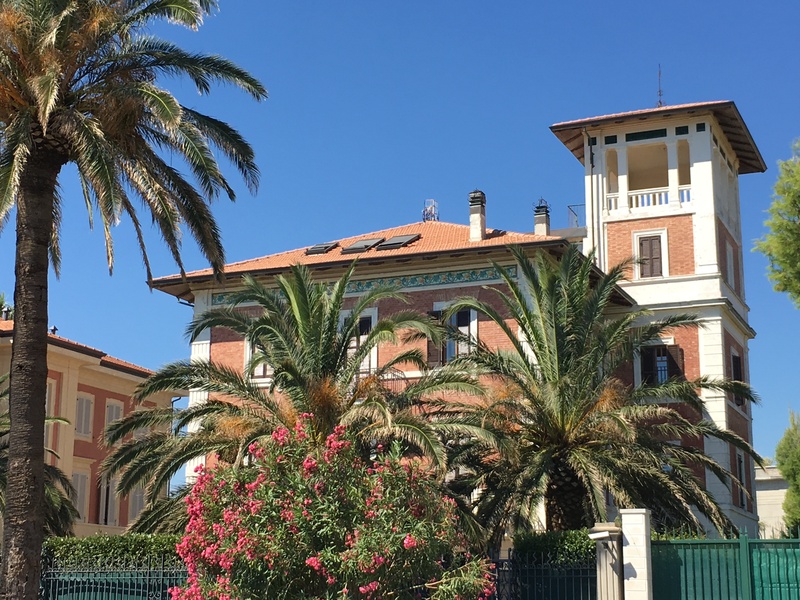 I wasn’t sure we would succumb to the charms of this flat and seemingly featureless coastline but given the villas in Le Marche’s hinterland are a fair bit cheaper than their Tuscan counterparts, I was willing to give it a try. We are frogmarched to some unreserved sunbeds and umbrellas by the angry man and we pay 20 Euros for a day’s hire. My younger self would have been happy to throw a towel on the sand but with age comes a certain desire to conform, I want to maintain my bella figura; no one else is sitting on the sand. The 20 Euros is money well spent, Italy is experiencing a heat wave during our visit and the temperature is close to 40 degrees. I notice a small horde of plastic toys tethered to the stem of a nearby umbrella. Perhaps the owner of the toys will shortly arrive along with all of the other people in the know about sunbed reservations. As the day progresses, the beach remains almost deserted. A lifeguard struts through the shallows engrossed in an animated call on his mobile phone. Hopefully the toddlers and their grandmother splashing around further along the beach won’t require his assistance. 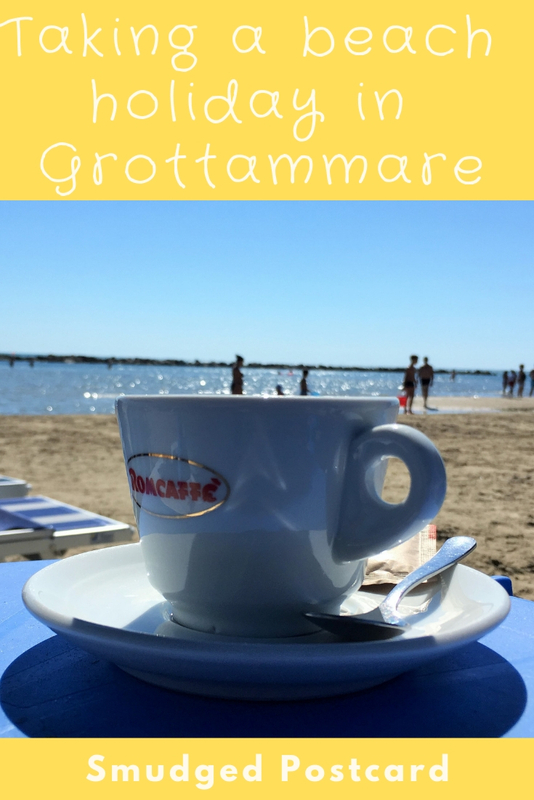 Our first visit to Grottammare seems a little underwhelming at first. I wonder if we should have based ourselves further north near the Parco del Conero where the coastline has a more rugged and untamed beauty. 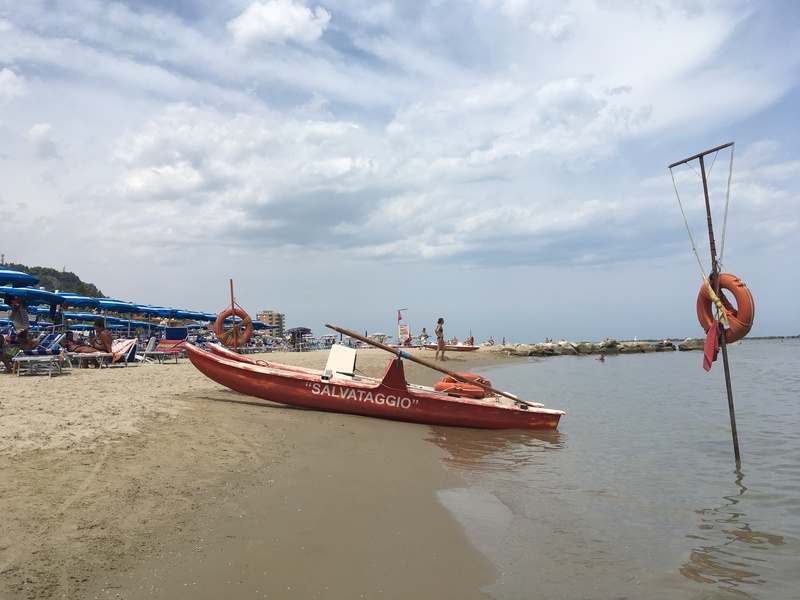 Unperturbed by our encounter with the angry man, we return to Grottammare a few days later. I order cappuccinos from one of the bars and we have a gratifying morning sipping coffee, watching our young boys busy themselves with a bucket and spade. The sea is incredibly warm and shallow so our once-reluctant children soon gain a new confidence in the water. Although I was aware that most Italians holidayed in August I hadn’t realised this was such a rigid practice. We share the beach with just a handful of youngsters and their mothers or grandparents. Italian dads, it seems, will not arrive at the beach until the end of the week. I manage to drag myself away from the sand for a wander along the promenade. The road is lined with palm trees, some are getting a pre-season haircut. There’s a long wide path for pedestrians and cycles which stretches off into the distance. 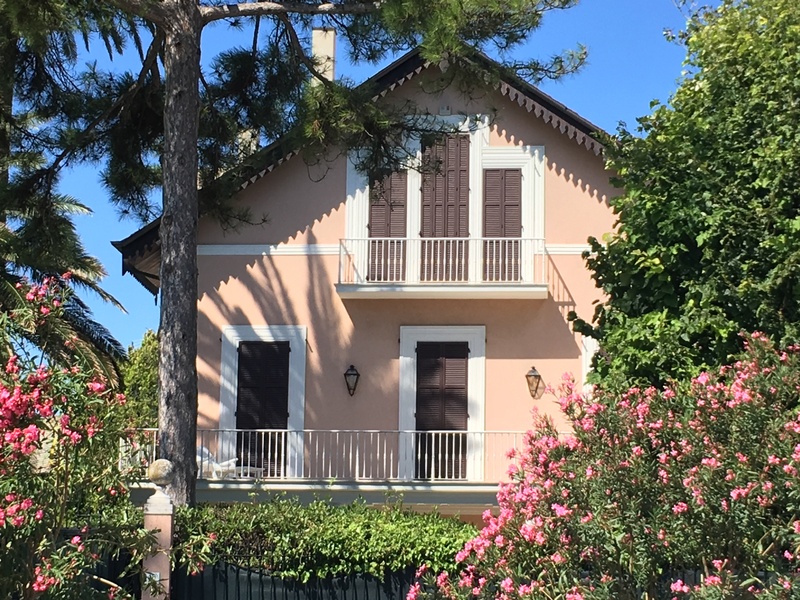 Hidden behind high walls dripping with oleander, are smart Liberty-era villas, security cameras pinned to their gates. There are exclusive looking lidos, trendy-looking bars and well maintained tennis courts. In high season, the promenade will become a hive of activity but for now it remains deserted. As the week progresses, we start to get into the swing of things. We request sunbeds and umbrellas, order coffee, smile indulgently at other people’s children, consume pizzas and gelato and float around in the sea. It is incredibly relaxing. I have vague ideas of visiting Grottammare Alta, an appealing-looking jumble of medieval buildings clinging to the hillside above the beach. 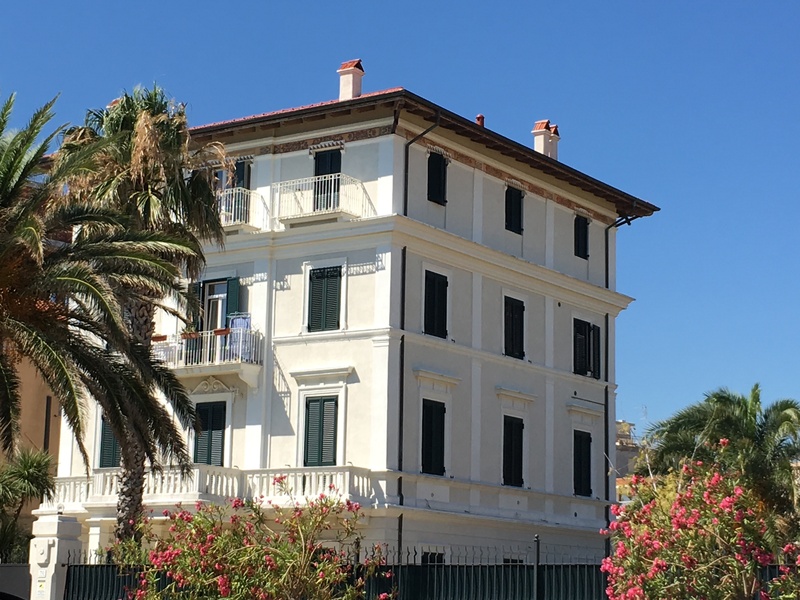 My guidebook informs me Grottammare’s old town was the birthplace of Pope Sixtus V back in 1521 and that it is one of the Borghi piu belli d’Italia, an association of beautiful villages for which Le Marche holds the highest number of any region. I can imagine feasting on local seafood in a tiny trattoria overlooking the sea. But as one day blends into the next, we are always drawn back to the routine of the beach. I start to see why so many Italians come here everyday, to the same sunbeds, all summer. By the end of the week, the toys tethered to the umbrella remain abandoned, for now. Friday shows no sign of Italian dads clocking off from work early. 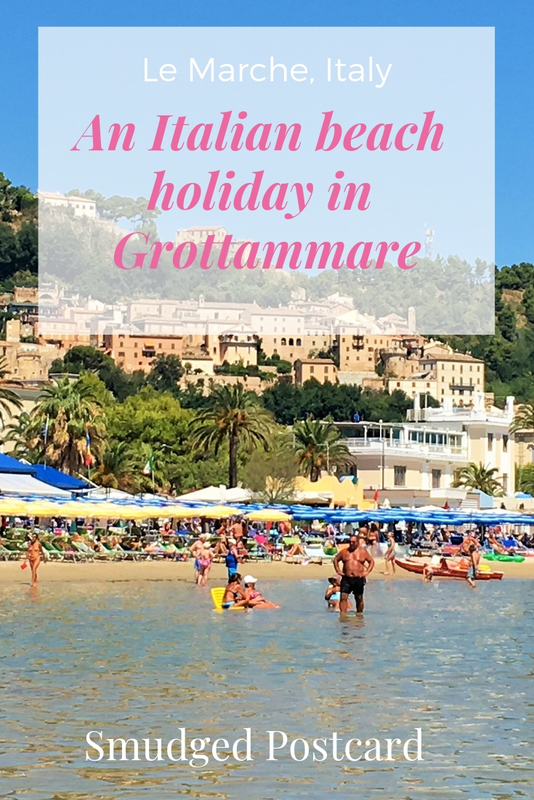 I make a mental note to return with my family to Grottammare in August for a future holiday to fully immerse ourselves in the great Italian beach experience. It’s definitely a locals’ kind of place! We loved it. Oh, I like the view of the townhouses and the flowers. This beach reminds me a little of Bibione, for some reason. And yes, Italian dads do turn up eventually in weekends. (But it all remains a complete mystery to me). We’ve visited some of the coast in August in the past and it’s a very different story! Omgosh I think I would die if it was 40+! 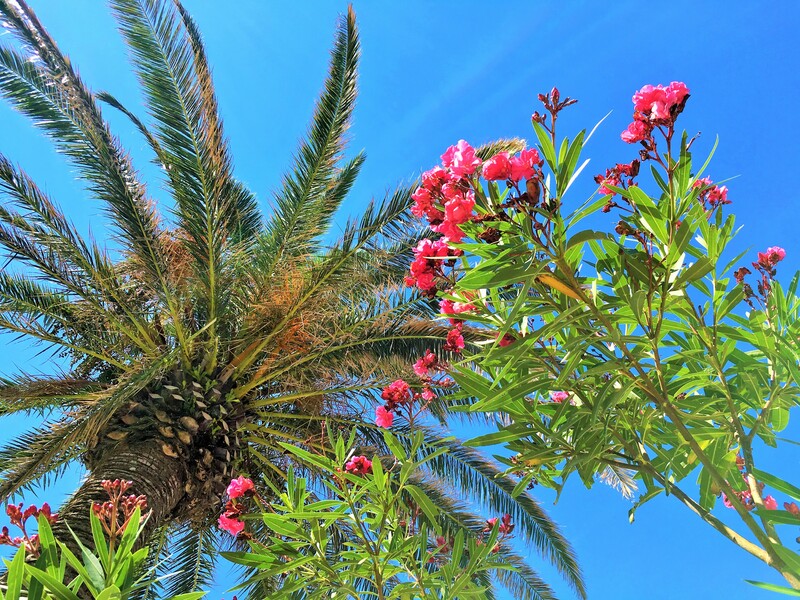 I practically did summer 2015 in Croatia! Splurging on beach chairs is always money well spent! 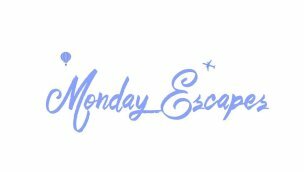 Thanks for linking up with #atheWeeklyPostcard! Yes, my scrimping days are definitely behind me! Thanks. Yes, I like the idea of having my own stretch of sand for the whole summer! Loved reading this 🙂 I always prefer to rent a sunbed, it’s how I make sure I can enjoy the time on the beach, haha. A sunbed and cappuccinos on the beach. Heaven! (Although maybe a birra fredda later in the day. 🙂 It sounds like a great week – very relaxing. Making our own note to check out Grottammare! Thanks for sharing on #TheWeeklyPostcard. Yes, would love to be there right now! 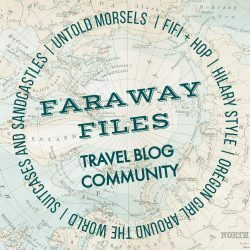 Amazing ow different beach cultures can be from one country to another! Wow, no sunbeds to rent in the States. Our countries are all so diverse in their beach culture! It’s a great place for families, the whole of Le Marche is really lovely. 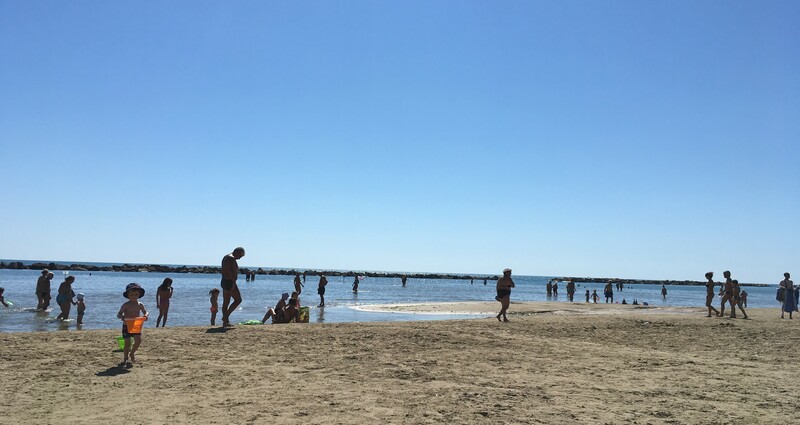 I visited Rimini in August and it was pretty good fun despite the crowds! It’s perfect once you get in the swing of things! Maybe it’s something Margate should consider introducing..!